Construction defects have existed since humans first began building structures, and will continue to be an occurrence into the future. For builder developers, contractors, and subcontractors, the specter of construction defects is a constant worry. Construction defect litigation is commonplace and can occur years after the construction project has been completed. This opens up an ongoing channel of risk and liability for construction contractors and project managers that are at risk of litigation far after they have completed a project. In this article, we’ll provide a helpful construction defects checklist that outlines the key avenues of risk and areas where construction defects litigation is most often focused. This checklist can help project managers, contractors, and subcontractors anticipate areas of their projects that may need extra attention or focus in order to ensure that they adhere to relevant local and state construction ordinances. Gaining a greater understanding of what construction defects are can provide insight into how construction litigation can prove beneficial for structure owners or contractors who received substandard work. Many clients may not understand that they have an avenue to seek redress in cases where faulty workmanship may have resulted in economic damages or safety concerns in their home, building, or another construction project. Understanding the scope of what a construction defect is, and the areas that are most commonly litigated is helpful to understand when construction defect litigation is a viable option to pursue redress. Construction defects can exist in any portion of a construction project. As such, it is useful to break down the common types of construction defects into categories so that we might better understand the avenues of risk that exist for construction professionals, contractors, and even the building owner or client themselves. There are four broad categories that construction defects fall into: material deficiencies, design deficiencies, construction deficiencies, and failures in operations and maintenance. Construction defects will fall into one of these four areas, but some may fall into multiple categories. Buildings with design deficiencies may be assembled correctly without a breach of contract by the general contractors and subcontractors, but there may be issues with the design that result in construction defect claims. One of the most common design deficiencies is inadequately compensating for drainage or water seepage, resulting in water intrusion. Material deficiencies are commonplace in the construction industry, where some less than reputable general contractors cut corners by using improper materials for the specific application. At other times this comes down to simply being unaware of weaknesses in the materials being used for a construction project. Building materials can come defective from the manufacturer, be damaged in transit, or be stored improperly on the job site leading to damage. Defective work in the craftsmanship of the finished construction project are common. Construction defects manifest in any number of ways. Common areas where construction defects are seen are in water intrusion, electrical systems, drainage, and damage to the foundation or walls. Construction defects are frequently the result of contractors taking shortcuts in order to save time or money, failing to ensure their work has been completed according to legal requirements or failing to adhere to industry accepted best practices. Some property damage occurs after the building has been finished, and could arguably not be considered construction defects. Ongoing maintenance is an essential task to ensure the health of the building or construction operation. Systems that aren’t serviced regularly can lead to missed opportunities to avoid costly repairs and extensive damage further down the road. Defects resulting from operations and maintenance may not be the fault of the general or subcontractor who worked on the building but would be the responsibility of the owner or operator. This highlights the difficulty that some suits have in proving ultimate responsibility for a construction defect. These broad categories of construction defects help illustrate that each aspect of construction can result in a defect claim. It is only through the diligence of the contractors and subcontractors that defective construction is totally avoided. That being said, construction defects are relatively commonplace, particularly in areas of rapid urban growth and sprawl where construction projects and turnaround times are fast paced. Another frequent culprit of construction defects is related to shifts in the legal landscape regarding construction projects in different areas. Many contractors operate in one location or state, where they may be intimately aware of the laws regarding construction. At the same time, when those contractors work in unfamiliar environments such as in another state, they may just assume that the building codes are the same in each region. 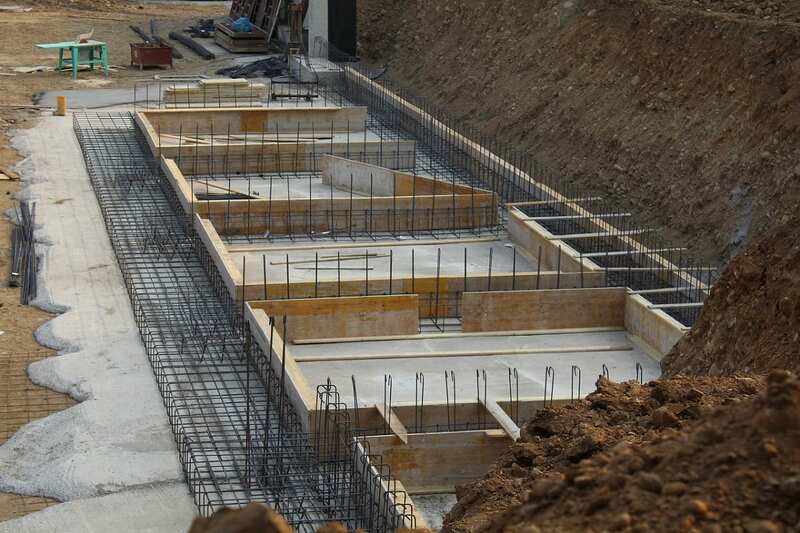 Specific building requirements against things like water incursion may exist in locations because of issues that have appeared before, such as water seeping into the foundation and leading to cracks over time. As such, unfamiliarity with the specific building requirements in a city, state, or region can lead to multi-million dollar construction defects. Although we can generally outline what categories construction defects fall into, it is more difficult to provide a comprehensive checklist that general contractors and design professionals can rely upon to ensure they don’t open themselves up to construction defect litigation. That being said, we can provide an example of things to look out for during construction projects. The following construction defects checklist is based on the California law Senate Bill 800 (SB-800), commonly referred to as the “Right to Repair” law. Passed in 2002, SB-800 outlines specifically what the State of California considers construction defects, while also outlining what actions homeowners can take to remedy construction defects. The bill discusses the statute of limitations for homeowners to bring an action against a contractor and the level of proof required of the homeowner, while also including standards for home construction. For the purposes of this article, we are going to focus on Chapter 2 of SB-800 that discusses “actionable defects” but the full text of the law can be found here. The list provided by the State of California is extensive and is intended to cover nearly every aspect of a building and building material. The text of the law also explicitly states that anything not discussed in the text that is found to cause damage is thereby “actionable” and can be considered a construction defect. Remember as well that this law is only new structures built in California, although there are similar laws in different States. Doors must be properly sealed so as not to allow moisture through the door if it isn’t intended. Windows and doors with access to the outside must be properly sealed against the elements. Roofs must be properly sealed and not allow water to pass into the house. Decks and other outdoor additions to a house must be properly sealed so that water or moisture doesn’t transfer from the deck to the main structure. Foundations and slabs should be sealed against moisture. Any irrigation or hardscape should have proper drainage and not allow for water or soil erosion. Stucco or other materials on the exterior of the house must be properly sealed against moisture and condensation. Retaining walls must have proper drainage. Plumbing, sewage, and utility lines must not corrode, and sewage systems must be adequate to accommodate their rated level of flow. Additionally, any plumbing or sewage system must not leak. Showers, baths, ceramic tile, and tile countertops should not allow moisture to seep through them. Foundations, slabs, and materials in your project that are load-bearing must be free of significant cracks or vertical displacement. These components must not affect the safety of the structure as a whole. Foundations, load-bearing materials or walls, and slabs must comply with all building codes and regulations regarding resistance to corrosion and chemical deterioration. This refers to the building codes and regulations in effect at the time that construction was completed. The foundation, slabs, and load-bearing structures must comply with any relevant earthquake or wind resistance building codes or regulations present at the time of construction. Soil or retaining walls must not cause damage to the structure they are built upon, cause the structure to be unsafe, or result in the structure being unusable for its intended purpose. The structure must comply with any relevant building codes or regulations regarding fire protection. Fireplaces, chimneys, and associated structures should be constructed so as not to result in the spread of fire outside of that structure. The original builder must ensure that any external pathways, such as sidewalks, driveways, and patios don’t have any cracks or separations. Any appliances installed must be installed in such a way so as not to negatively affect the life cycle of the product. Irrigation systems must have proper drainage. Heating systems must warm the air in any room to 70 degrees 3 feet above the floor in any living space. Any wood in contact with soil must be treated. Roofing materials must be secured so that they can’t fall off. Dryer ducts must be installed and terminated according to manufacturer specifications. Paint, stains, or treatments must be applied so as not to cause deterioration of materials over time.